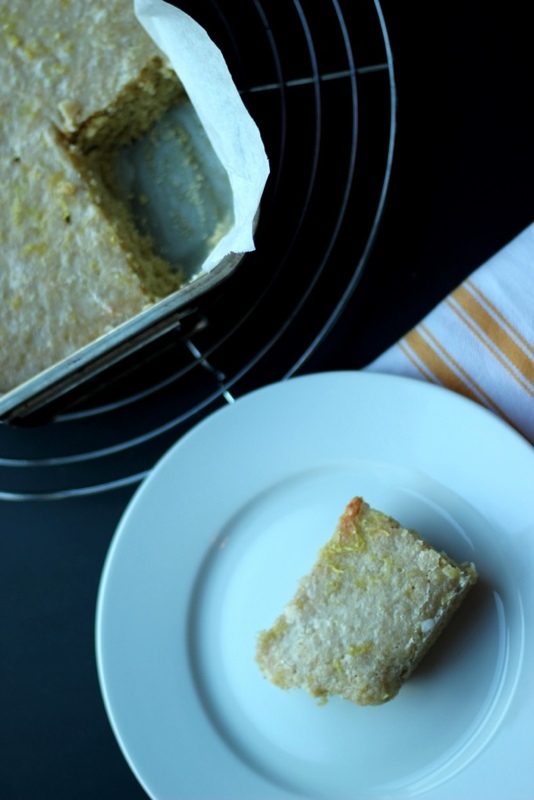 I know everyone in the US is currently going crazy over Meyer lemons and Pinterest and Tastespotting / Foodgawker are full of recipes for Meyer lemons to make the best out the short season. Our marmalade-obsessed British friends are eagerly awaiting the arrival of Seville oranges. Here in Italy, January is all about Bergamot lemons. Although mainly used for making candied peel, Bergamot Lemons are also what gives Earl Grey Tea its distinct taste. Ever since moving to Italy I had been eagerly awaiting the arrival of these huge and bright yellow fruits. Alas, most supermarkets don’t appear to stock them so I had to wait l a little longer until I finally spotted some at the Saturday market in Campo di Fiori. At 8 Euros per kilo I paid an absolute fortune, but, having never tasted a Bergamot lemon, my curiosity got the better of me. 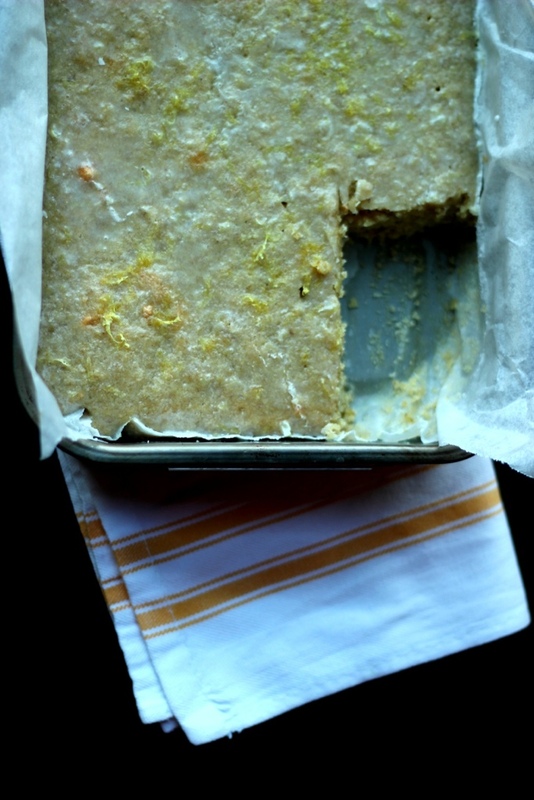 Given this special (and costly) ingredient, I wanted to bake a cake that would let the flavour of the Bergamot lemon shine. What better for this than a seemingly humble yet bursting with citrus flavour Lemon Drizzle Cake (or Bergamot Lemon Drizzle Cake in this case). My version was a tray bake made with oat flour. 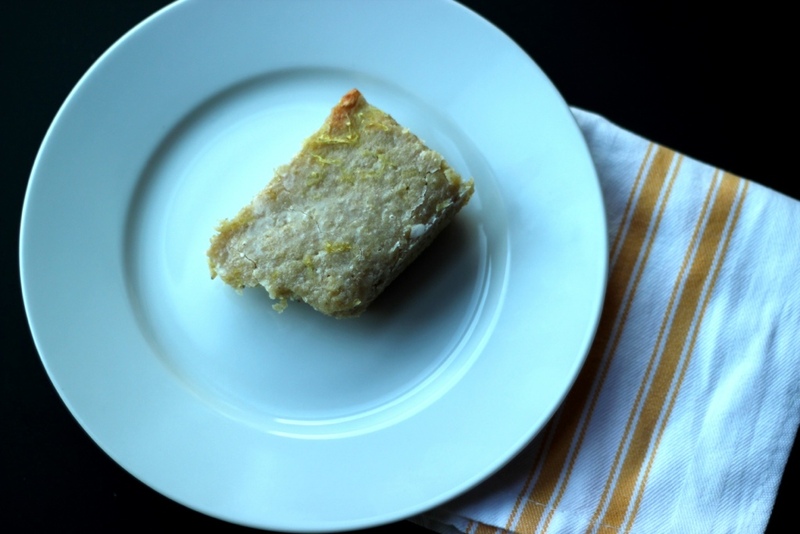 There are plenty of recipes for almond or polenta- based citrussy cakes and given that oat flour gives baked goods a similar texture, I decided to give this a try. 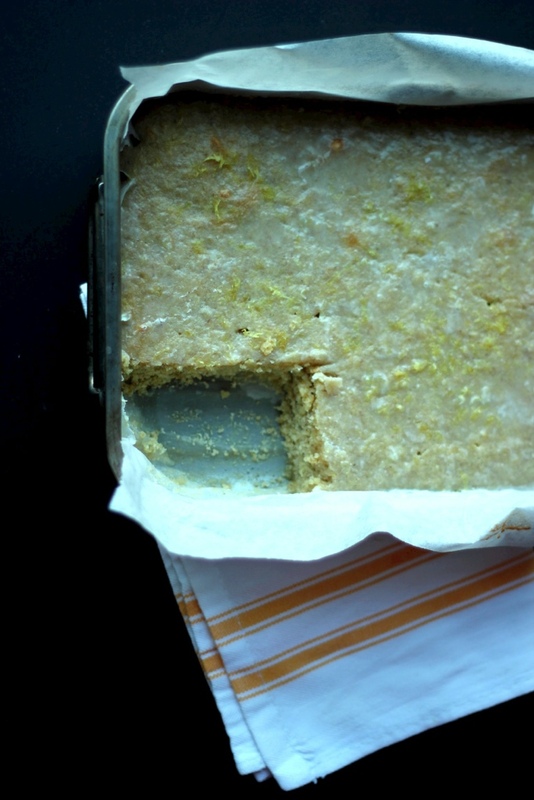 Also, I turned the classic version into a tray bake for the perfect ratio of cake to syrup to crunchy sugar crust (although I feel Felicity Cloake might have something to say about my slightly unorthodox ‘syrup’ of icing sugar and milk, flavoured with additional Bergamot lemon zest). 1. Pre-heat the oven to 180 degrees Celsius. Line a high-rimmed baking tray with parchment paper. 2. If you don’t have oat flour to hand, start by grinding your oats. For this cake, I left the oat flour fairly coarse as I wanted to preserve some of the nutty crumbleness you often get in cakes made with ground almonds. 3. Next, zest your Bergamot lemon, putting ca. 1 tablespoon of zest aside for the syrup. Add the remainder into a big bowl together with the oat flour. 4. Mix in the spelt flour, baking powder, pinch of salt and brown sugar. 5. Separate the eggs putting the egg whites into a separate bowl. 6. Beat the egg yolks together with the olive oil and the milk. Pour over the dry ingredients and stir together with a spoon. 7. Whip the egg whites until they form stiff peaks. 8. Mix in 1/3 of the egg whites into the oat flour batter to loosen it slightly. Then carefully mix in the remainder of the egg whites, trying not to deflate the mix too much. 9. Pour the batter into the parchment-lined baking tray and place in the oven for ca. 40 minutes or until a skewer inserted into the middle of the cake comes out clean. 10. Leave the cake to cool while you mix the icing sugar with the leftover zest and 3-4 tablespoons of milk (just enough milk to achieve a pourable consistency). Prick the cake in a few places with a toothpick and pour over the syrup. Leave the cake to cool completely and until the sugary syrup has formed a slight crust before tucking in. Although this was a pretty expensive cake to bake (although no doubt there must be cheaper ways of procuring Bergamot lemons than heading to the market in Campo di Fiori) it was simply brilliant. I was worried that the cake would have some of that soapy taste often associated with cheap Earl Grey but this cake was nothing like it. In fact, the zest of Bergamot lemons has something peppery which I have not come across in any citrus fruit before! Very intriguing and definitely has me thinking about making some White Chocolate Lemon Pepper Truffles … So yes, do give this cake a try and if you can’t get hold of Bergamot lemons, fret not, the cake will taste just as good with normal lemons or even oranges, although I will dare you to add a sprinkle of pepper to the cake and let me know how that turns out! I’m on a bit of a blood orange mission as I’m not a big fan of Seville oranges… I adore lemon too though and this looks divine! Thank you for the kind comment. Normally I am not a huge fan of Seville oranges either, as I don’t really like marmalade, but I do wonder what they would taste like in a cake like this.